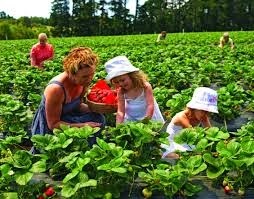 After we pick strawberries, we'll go to Jack's in Locust Fork for a milkshake. Wear closed toed shoes and be prepared to assist younger children. Contact: Sue Taylor faithmyeyes@msn.com "strawberry" in the subject line!